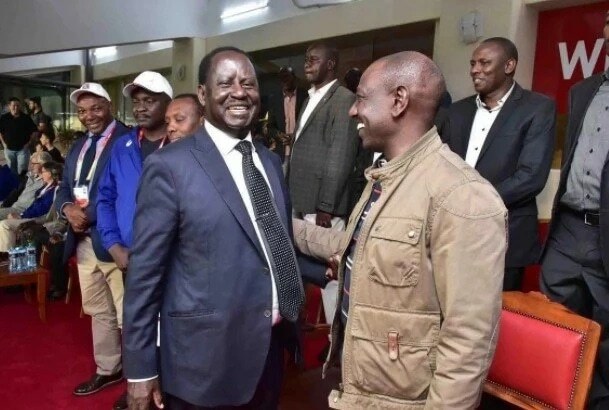 National Super Alliance (NASA) Presidential candidate Raila Odinga would emerge the winner if the elections were held today, research firm Infotrak has revealed in its latest and final poll ahead of the elections. According to the study, Mr Odinga is the most preferred Presidential candidate with 49% followed by President Uhuru Kenyatta who garnered 48%. Mwalimu Abduba Dida of Alliance for Real Change emerged third with 0.3% whereas Independent Candidate Ekuru Aukot got 0.1%. The Infotrak study revealed that Mr Odinga is leading in the Coast, Eastern, Western, Nyanza & Nairobi regions whereas President Kenyatta leads in Rift Valley, Central & North Eastern. The poll further shows a significant increase in support for the NASA Presidential candidate in Rift Valley and a remarkable increase in support for President Kenyatta at the Coast. Ms Angela Mbitho, the lead Researcher at the firm, noted that there will be no runoff, adding that the undecided electorate will decide who emerged the winner. “The undecided (2%) will determine the outcome. There’s no possibility of a runoff,” Ambitho stated. She noted that their results were credible as they sampled 5,000 people, adding that they used the IEBC voters register to guide their sampling data.